CLOV: The end is terrific! HAMM: I prefer the middle. Is is not time for my pain-killer? This post is in memory of all unfinished works. If there is not already an International Celebration of Unfinished Works Day, I declare June 3 to be it. 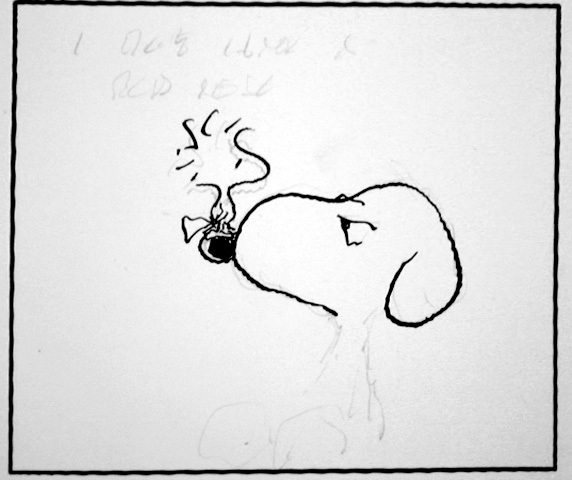 My unfinished “works” (if that’s not too grandiose a term – can’t I just say “things” instead?) include countless essays and poems, drawings, two books, an exhibition with the wonderful illustrator Jacqui Colley (we were defeated by form-filling; many of these unfinished forms constitute works of art in themselves), letters and emails. Still others exist only as half-sparked ideas. There’s nothing there to unfinish – the apotheosis of incompletion! And if you want to be really philosophical about all the things you can’t get done, you could say that nothing in this world is ever finished. The books, films, and TV series that stay with me are the ones that, in ending, suggest the beginning of something else, or a great looping continuation of what’s gone before. CLOV: Will it not soon be the end? HAMM: I’m afraid it will. CLOV: Pah! You’ll make up another. If I could drag myself down to the sea! I’d make a pillow of sand for my head and the tide would come. 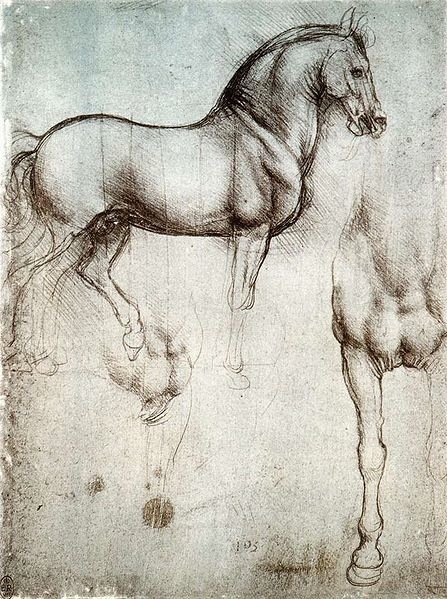 Leonardo Da Vinci’s sketch of Gran Cavallo (Da Vinci spent twelve years working on the statue, which was commissioned by the Duke of Milan. In 1492 he finished a 7-metre-tall clay model, but before the mold of the horse could be cast in bronze, war erupted between France and Italy. The Duke then donated the 90 tonnes of metal intended for the horse to the military, which used it to build cannons. Invading French archers used the clay horse model for target practice. This entry was posted in Change, Happiness or not, Uncategorized. Bookmark the permalink. Don’t beat yourself up about the essay book. I’m sure it will be ‘finished’ (I guess by this you mean published) one day, it might just take longer than other books to get there. 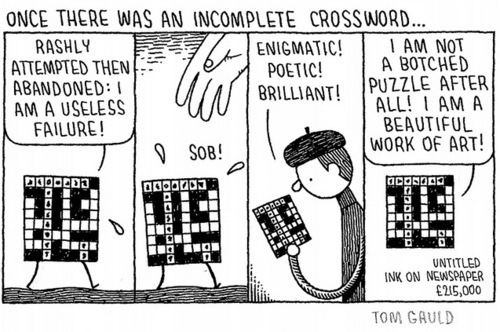 On another note, I was just wondering… Is a partially complete posthumous work by definition ‘finished’. Isn’t finished sometimes referred to as abandoned and if so, wouldn’t dying, possibly the greatest form of abandonment, make it finished? DFW will never write another word on the Pale King, so I guess as far as the world is concerned it’s as finished as it is ever going to be. Except of course that someone else has decided to ‘finish’ it. Which makes another question, is it the same novel as the one DFW wrote? I’d say no. But then again possibly 90% of the novel he wrote. I dunno. Confusing. And I don’t think I’ve ever finished anything? Not that I couldn’t tinker with later on? And I guess I probably won’t ever truly finish anything until the inevitable happens. There’s a happy thought. Haha. Great post A. Take heart. If finished means a bloody good read then it is finished. Maybe it’s time to start something new? New is fun. Bah, Blimmin families eh, can’t live with them…pass the beer nuts. Oh yes, the oppression of the unfinished work! I feel it!